This month we used the NASRPC 25 Metre Precision format with first shots away at 1000hrs. Three centrefire entries improved the numbers and made for some loud and keen competition!! Thank you to Cathal C. who took over RO’ing the line and released me to shoot, volunteers always welcome! As usual everybody competed in a good spirit, all had fun and we had full lines all morning with all eight bays in action with either rifles or pistols. There was also some very competitive scoring. in the iron sights pistol section Frank B. took the honours with an impressive score 272/300 with very close competition for 2nd, 3rd, 4th and 5th places by Cathal Maurice Anthony and Eugene scoring 256, 255, 253 and 250 points. Sean Mc. scored 275/300 to win the ‘red dot’ pistol category, Frank B. and Anthony chasing second and third respectively with 272 and 261. In the Gallery Rifle the undersigned took the honours with 242 with Anthony on 240 and Pat C. recording a 236. Centrefire category was won by Frank B. with 221 with Trevor on 160 and Mark O’D on 106. Good shooting by all, thanks for turning up in such good numbers and well done to all category winners. 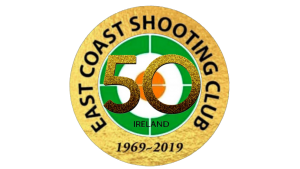 The next club shoot is the 50 Metre Precision Rifle Shoot (shot standing at 50 metres, 10 rounds in 5 minutes, shot three times) planned for 02 December 2018 and the Club Christmas Shoot on Sunday 09th December 2018, “bring a bottle win a bottle” with €20 entry fee, for an exciting and varied fun shoot, seasonal fancy dress ‘a must’! The next scheduled monthly event is planned for Sunday 30th December 2018, first shots away at 1030hrs, and we’ll be using the NASRPC Multi-Target format for pistol and gallery rifle competitions. This fast shooting format also allows semi-automatic rifles to be used so bring your long guns, all are welcome to partake! Competition schedule for 2019 Target Rifle Section Christmas Competition.